1. Chuck (Zachary Levi) from Chuck - He's a wiz at computers with a motley group of friends. Oh and he's like the most adorable awkward spy ever! 2. Jim (John Krasinski) from The Office - Not only does he have a wicked sense of humor he gives the coolest presents i.e. that teal teapot full of inside jokes a.k.a. "the present within a present" that he gave Pam at the first season Christmas party. Score! 3. Dr. Surresh (Sendhil Ramamurthy) from Heroes - Every time he looks into a microscope and scribbles down some notes I smile. 4. Julian (Austin Nichols) from One Tree Hill - That grin. Oh my! He played the lovesick new guy in town who got his heart broken again. Poor Julian. 5. The guys of Friday Night Lights - Matt Saracen, Coach Taylor and Tim Riggins. Not only is this show brilliantly crafted, we got to watch these actors light up the screen on a weekly basis. And I can't wait until Burn Notice comes back on this summer. 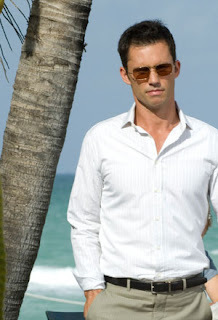 Michael Weston has the best suits and sunglasses. So who are your TV crushes??? haha! I thought guy number one and two were the same person for a second! I would have to agree on Sendhil, and I must add that Wentworth Miller from Prison Break is a beautiful man (is that show still on?). Oh! and Mark Consuelos, Kelly Ripa's husband. AND James Roday and Dule Hill from Psych. I ♥ them and the show is hilarious! I haven't had the chance to really get into Psych but it's definitely on my list of DVDs to get. They both seem cute and quirky on the commercials though! I had no idea about the Mexican heritage though. This a a good post. All these actors are great! i got a huge crush for the guy in the last pic dont even know his name actually , he's use to perform so mysterious and dark characters ... just hot !!! Mohinder Suresh is sooooooooo FINE. That rugged look is simply beautiful. But his acting ... leaves a LOT to be desired. BTW, are you still watching "Parks and Recreation" or have you given up on it? Reub, I know...they're all from your favorite shows. I really hope they don't cancel Chuck that show is fantastic! The Buy More squad is hilarious. Dark Bohemiian, his name is Taylor Kitsch and he also plays Gambit in the new Wolverine movie. He plays those dark broody characters so well. Issa, I'm glad you enjoy Mohinder's rugged look too. As for Parks & Rec. I missed the last two or three episodes. I'll watch them online but if they're not getting progressively better than I'll have to say adios. The thing is when you watch them after The Office or 30 Rock it's just not as funny. I kind of wish they didn't shoot it "Office style" and instead went for the standard way. Something like Party Down on Starz. Now that show is funny! But it's more on the raunchy side. Tim Roth, James Roday, and Matthew Gray Gubler. Hello. Excellent career. I didn't anticipate this using a Wednesday. This is a good tale. Thanks! 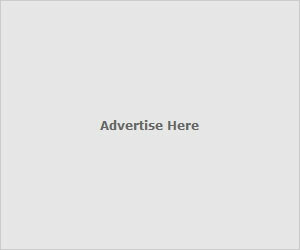 These substances boost epidermal thickness, which as a result [url=http://lfcream.com]buy lifecell[/url] benefits which only previous a while OR more slowly final results which serve you for a truly number of years. lifecell It actually may make swelling http://lfcream.com tighter plus more well toned skin.